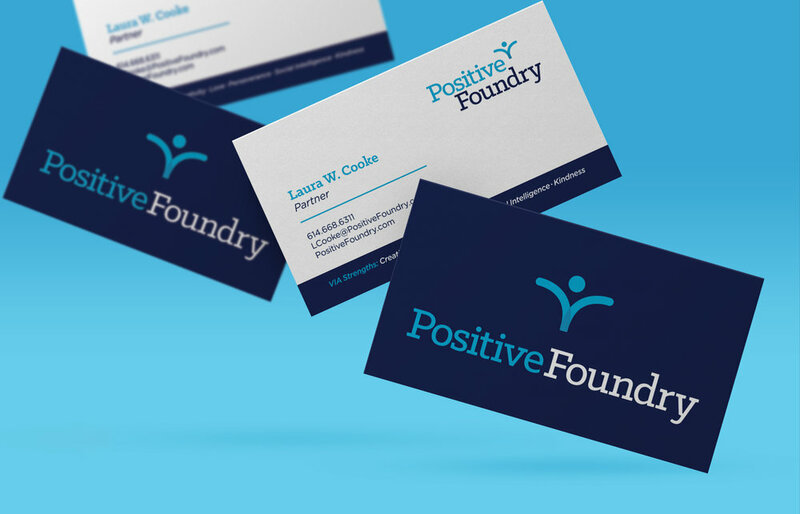 Positive Foundry brings a comprehensive and holistic wellness program to corporate environments. Their curriculum is rooted in the science of positive psychology and provides individuals and corporations with tools that lead to more joyful, healthy, meaningful and accomplished life. I worked with a team of designers to bring their new vision of the brand to life. The insignia captures the expression of joy and sets the tone for the brand's language and icon system. The full set of Module and VIA Strength icons, used throughout workbooks and other collateral.